Ubuntu 12.04 Web Development Platform L.A.M.P.P.P? I have been doing a bit of Python programming lately. Why, it’s because HP has released RESTful API’s for its Intelligent Management Center. The release of the eAPI’s allow for third-party scripts or applications to interact with IMC and provide additional automation to managing the network. Here’s a use case the I created a Python/HTML solution for. IMC has the ability to do real-time location-based on MAC address or IP address. This is accomplished by searching for the item “one at a time”. There could be a case when multiple MAC addresses need to be located quickly so I developed a script that presents an HTML page to capture a list of MAC addresses separated by commas. Next, the script uses the eAPI’s to query IMC for the device location and port that the MAC addresses are plugged into. Finally it present a repot to print out. To facilitate this development I created an Ubuntu server (sorry no GUI) When installing Ubuntu I told the install script to build a LAMP server. LAMP is an acronym for Linux, Apache, MySQL and PHP/Perl. I had to use Python so my server is now a LAMPPP. Nonetheless, it is a complete web development server and something every geek should have access to. 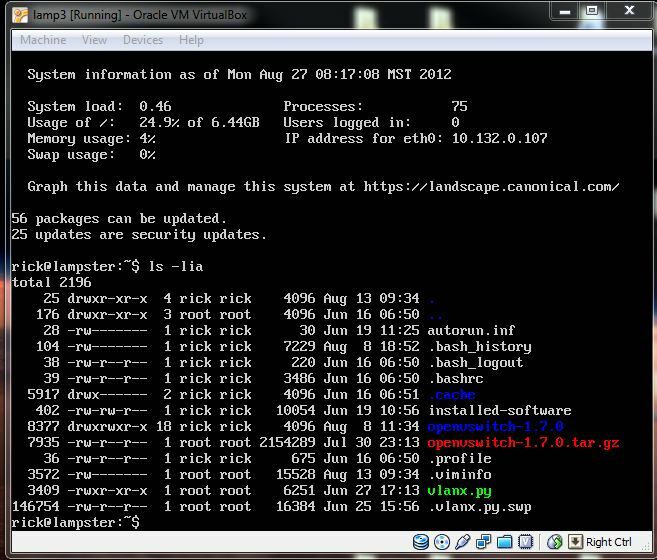 I run the server in Oracle’s Virtual Box and the you can login with “rick” and the password is “siesta3” you can then su to bash and enter “siesta3” again and be root for as long as you like. If you’re interested to know more about HP’s RESTful api’s then just comment on this post. Oh!!! I also loaded Open vSwitch but will talk about that next week. 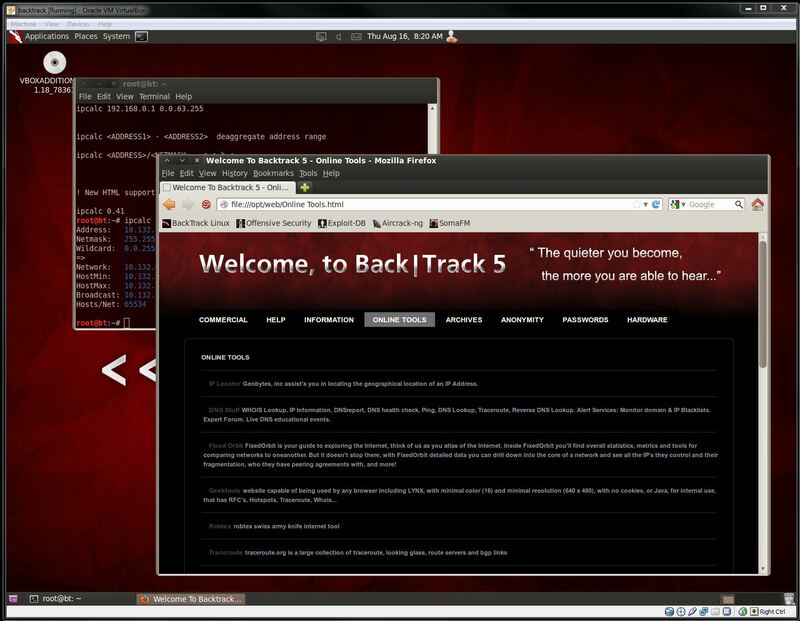 I just finished building my Backtrack 5 VM with graphical environment. Looks great and it is something every network security engineer should have at their disposal. It will be up on my ftp server shortly. Top 5 websites to learn to hack like a pro! I don’t point this out because I want you to go out and hack. No. Bad networker! I post this link because you need to start working on protecting your network from the bad guys…or gals! This is where hackers are going to go to start learning the ways of the darkside. In the begining was the command line!